Ferndale is a growing city of 12,700 people on the Nooksack River in northwestern Washington. It is a part of Whatcom County and is situated south of Blaine and Lynden and north of Bellingham, the county’s largest city. 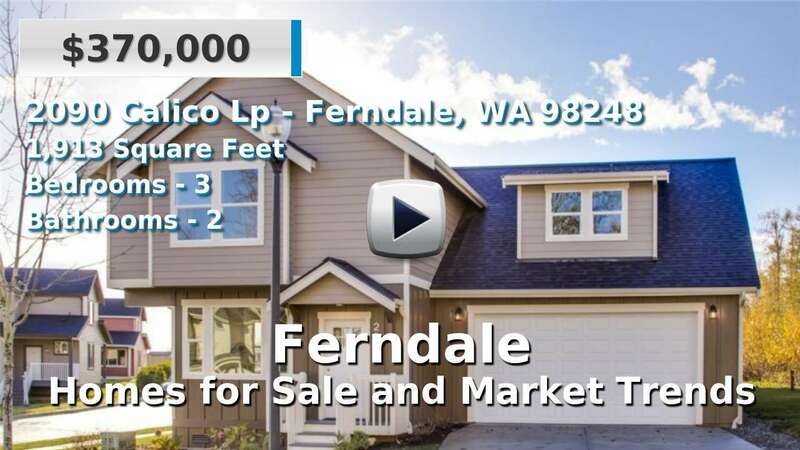 Many homes for sale in Ferndale are set amongst the picturesque Nooksack River or Tennant Lake. In this rural area, residents are likely to enjoy larger lots and a quiet, agricultural atmosphere. 4 Beds | 2.5 Baths | 3747 sq. Ft.
5 Beds | 2.25 Baths | 2800 sq. Ft.
3 Beds | 2 Baths | 1131 sq. Ft.
4 Beds | 2.5 Baths | 2676 sq. Ft.
3 Beds | 2.5 Baths | 1549 sq. Ft.
5 Beds | 2.5 Baths | 2466 sq. Ft.
3 Beds | 2.5 Baths | 2000 sq. Ft.